Click here for access to the PDF of the 2018 Trend Guide. 2017 was defined by technology innovation and shifts in consumer behavior. An influx of new technologies hit the market and were rolled out by retail leaders. Education on the new frontier of retail was plentiful, paving the wave for the next round of adopters to change the retail landscape further. “Futuristic concepts” such as Artificial Intelligence and the Internet of Things are not only now in our retail lexicon, they are real strategies driving retail experiences as we speak. While 2017 was NOT the retail apocalypse many feared, some long-standing retailers who failed to keep up with consumer trends closed their doors. The good news is that strong retailers not only endured, they thrived. What will define 2018 will be the further adoption of new technologies, savvier eCommerce websites, and renewed in-store experiences. Consumers will continue to drive rapid change in the retail marketplace with their purchasing habits. In our 2018 Furniture Retail Industry Trend Guide, we highlight key influencers of the marketplace and shed light on actionable strategy for retailers to take advantage of this year. In this section, we will discuss key areas that will impact home furnishings retail in 2018. All signs are pointing north for a strong economy in 2018 according to financial research institutions. From a macro perspective, the GDP is rising at a 3.2% rate to $19.5 trillion, unemployment continues to fall at 4.1%, home ownership is increasing to 63.9%, and millennials are growing up. Additionally, consumer confidence is up and new tax cuts are projected to put money in people’s pockets. These indicators predict that 2018 will be a strong year that retailers should capitalize on, yet it’s important for retailers to be realistic about the market. Consumer spending of discretionary income still has not proportionally rebounded to pre-recession rates. Most notably millennials have lived through the recession and generally are more cautious when making financial decisions and are saving more for the natural lulls of the economy. This doesn’t mean retailers should be worried; it means they have to work harder to earn people’s discretionary dollars. Retail sales are estimated to have grown between 3.7-4.2% in 2017 according to the National Retail Federation (NRF). Growth is estimated between 3.3-4% by Furniture Today and Jerry Epperson, with the latter predicting 4% gains again for 2018. MarketWatch noted that Q4 of 2017 was a positive indicator for 2018, with holiday sales growth at 4.9%, the highest in 6 years. eCommerce sales continue to grow at a fast pace of 13%, though Amazon accounted for over 50% of that growth according to Internet Retailer. Statista continues to estimate steady online sales growth for home furnishings and predicts online sales will reach $38.5 billion in 2018. Mobile’s usage for home furnishings retail is on the rise. Mobile impacts multiple areas of your business today. It affects the ability for your website to be both accessible and deliver a fantastic experience on the platform consumers are using for brand research and purchases. Perhaps most importantly is that Google’s Mobile-First Index is coming in early 2018. 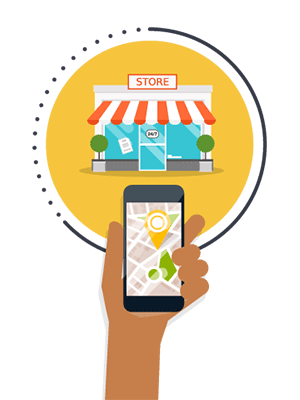 If your website does not support mobility your ability to drive traffic to your site and subsequently your stores will be at risk. Mobile is also how your associates can better serve customers in stores. This will be an area of technology capability growth as further mobile hardware investments are made. Today’s customer is more educated than ever, so your sales team needs to be brand ambassadors. Mobilizing your team helps support the sales process in store and empowers your staff with instantaneous access to details like special order options, delivery availability, pricing, and more to close a sale. Self-service kiosks are another growing area of in-store technology. This trend is driven by consumer reliance on technology in the discovery phases of finding new retailers and products. A kiosk serves as a bridge between the digital and physical spaces as well as allowing the consumer to introduce where they are in their shopping journey to an in store sales associate in an interactive manner. 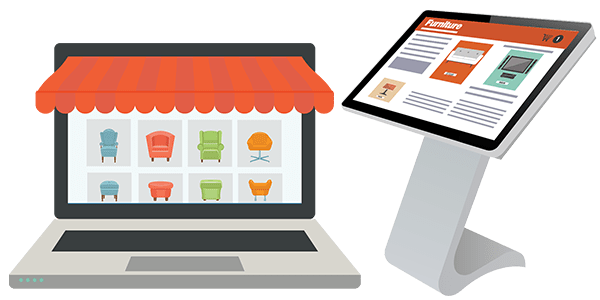 Kiosks are a relatively easy technology experience for retailers to roll out in stores because they work as an extension of website content but are designed for large format touch devices. Kiosks are a great way to modernize the look, feel, and functionality of showroom spaces. They are also key to facilitating the transformation of a traditional retail space into a brand showroom, a trend that will be discussed later. Kiosks enable retailers to carry less inventory without missing sales opportunities through an Endless Aisle strategy. With Endless Aisle, a physical vignette can highlight key inventory pieces, while kiosk and mobile devices showcase other fabrications and colors available for a SKU, or items from a related collection. 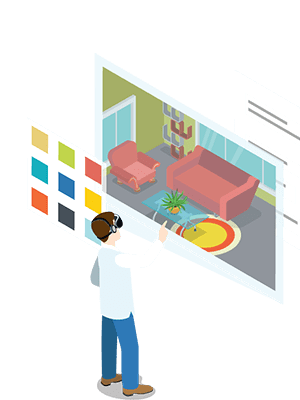 2017 saw many of the biggest players in home furnishings introducing Augmented Reality (AR) and Virtual Reality (VR) applications. AR and VR have widespread use cases but are tailor-made for the home furnishings industry. AR and VR further converge digital and physical retail. This technology increases consumer confidence when purchasing big-ticket items. It can help combat common hesitations in purchasing, including not knowing how the piece will look in their home, how it will fit into a location, and whether it will match with existing furnishings. The potential to tap into this type of technology is virtually limitless and can be a competitive advantage that distinguishes a retail experience. The Internet of Things may sound like it’s straight out of a sci-fi movie, but it’s already heavily infiltrated into people’s homes. Homes and devices are becoming smarter and smarter. 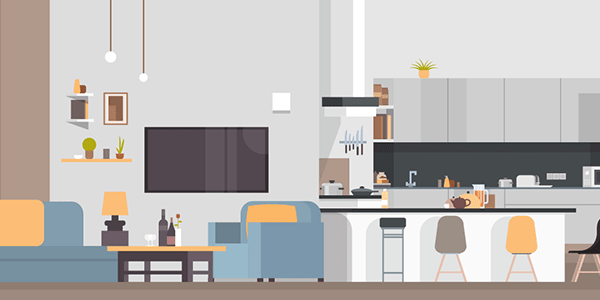 These product lines will be more prevalent in the home furnishings and appliance market in the near future, as items like our refrigerators tell us what food we are out of and mattresses tell us how to sleep better. Beyond the physical product capabilities of these devices, the consumer data captured by these devices is intriguing. How that data will be shared back to retailers and manufacturers is untapped and something to follow over the next year. A big opportunity for retailers is how they utilize Business Intelligence (BI). Over the years, solutions have become more sophisticated in how they collect and analyze consumer data. As illustrated in the previous sections the number of devices and types of consumer data available is on the rise. 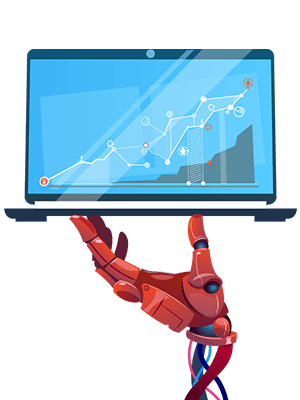 In order to facilitate that collection and aggregation of data, BI is being infused with Artificial Intelligence (AI). AI is the concept of machines being able to carry out tasks in a way that we would consider “smart,” according to Business Insider. The idea is that technology collects data and delivers actionable findings. This can include real-time insights on what products to buy, how to merchandise to different customers, when to effectively communicate, and more. Overall, machines are completing tasks that would manually take an incredible amount of human time. The time savings and profitability that can be discovered make this area of technology promising. Where exactly Bitcoin is headed may be up for debate, but Bitcoin is reflective of everything consumer behavior stands for. It’s convenient, instantaneous, technology agnostic, and puts the consumer in control. In the immediate future, there are technologies that can be put into practice today that meet many of the above-mentioned needs: expedient consumer financing, ease of accepting multiple payment types across channels, and auto-population of customer payment methods for 1-click purchasing. On the flip side of this conversation is a core reason Bitcoin hasn’t taken on mass appeal despite the attributes listed above: security. As the world of retail relies heavily on technology, ensuring the security of your systems in regard to consumer data and money is invaluable. It doesn’t matter the monetary value of the breach; you can’t put a price on trust. Look for payment technology that complies with the latest in PCI-PADSS regulations. The focus on our 2017 industry trend guide was Unified Commerce, however, Unified Commerce is not a trend. The merging of physical and digital is an irreversible trajectory. It is widely accepted that having a Unified Commerce solution for real-time management of all business channels is essential for future success. Still, according to surveys conducted by Boston Retail Partners (BRP), most retailers indicate that their technology infrastructure is not set in this direction or that their processes need improvement. However, the wave is coming. Further, BRP identifies data that is key to creating a seamless experience across channels: customer contact information, shopping history, transaction lookups, purchase summaries, customer preferences, product recommendations, social engagement, and loyalty. Retailers ahead of the curve have a clear competitive advantage that will continue into 2018. The statement above from the National Retail Federation says it all. The most successful retailers need to have a seamless strategy for integrating their stores, online, and mobile presence. We recommend checking out their complete 2018 Retail Analysis here. The importance of a complete brand strategy is demonstrated across all industries where acquisitions are plentiful. Amazon made headlines when they acquired Whole Foods and instant access to a vast network of physical retail space. Conversely, traditional retailers are purchasing innovative e-tailers that provide access to digital consumer bases and fit naturally into their strategies. Even without acquisition, pure-play eCommerce businesses, like Warby Parker, are setting up their brick and mortar expansion plans. These notions are reassuring for an industry whose foundation is the retail store. Traditional home furnishings stores have a growing set of new competitors. That means traditional retailers need to evolve to be less traditional. A variety of rising models for selling home furnishings will impact that industry in 2018. Amazon expanding into home furnishings creates logistical pressure. E-tailers such as Wayfair may be struggling with profitability, but they continue to grow their consumer base. Additionally, the popular discount models of TJX Brands took a more direct stab at the furniture industry with the opening of their furniture-driven Home Sense chain. And finally, vertical eCommerce players such as Bench Modern are breaking the mold with their personalized product creation. Change is the only constant in retail. In the later part of this guide, we will cover strategies to handle these market challenges. In a transitional point, Amazon is both a platform and one of the largest influencers of modern consumer mindset. Amazon set its stage within the home furnishings industry in 2017. The furniture industry remained virtually untouched by the behemoth retailer, but signs of change from launching two private label furniture lines, purchasing larger warehouse facilities, and rolling out changes to its furniture marketplace leave little to question. As a retailer, Amazon might provoke fear, but as a consumer one can probably appreciate Amazon’s positive attributes. Retailers would be amiss to try to beat Amazon at the game they invented. Retailers have to win at their own game, taking notes on what Amazon’s consumers respond to best. Convenience and customer service top the list. How can retailers deliver convenience and top customer service in your own market and with their own competitive differentiation to win business? Additionally, many retailers are taking an “if you can’t beat them, join them” approach to the marketplace. Amazon launched a furniture sellers program that allows retailers to pay a low monthly fee and a percentage of sales allowing them to tap into their consumer base and search network, sell to local markets, and benefit from Amazon’s logistic services. This is something to consider as another marketing outlet in 2018. The purchasing journey for consumers is a non-linear process filled with research and decision checkpoints happening across multiple devices and channels. Upwards of 90% of consumer research starts online. Googles searches, especially using the phrase “near me”, are experiencing rapid growth. While consumers still end up in a store for the majority of their purchases, the average number of store visits is under two per product search. How consumers make a final purchase is also shifting. Trends like buy online, pick up in store are common to expedite fulfillment of online orders for consumers. Finally, many customers combat buyer’s remorse by completing a cart at home, independently, after sleeping on a decision post their in-store visit. This is how consumer behavior has driven Unified Commerce. Since customers are interacting with brands so fluidly, your technology has to meet them wherever they are. There is a continued emphasis on personalization in retail. Consumers know that technology allows retailers to learn more about them and they are expecting that data to be used in order to better serve them. With time being an important commodity to consumers, tailoring products and communications to meet their needs is a win for both parties. BI can help retailers aggregate data to streamline the personalization process. Algorithms can automate how retailers send tailored communications and serve customers with product choices that are hand-selected based on browsing or purchase history. This data could also be used in human interaction. Through Unified Commerce, your associates can access purchase history, carts, and wish lists to further curate a personalized in-store experience. It cannot be stressed enough that your business needs to prioritize search engine optimization in 2018. SEO will determine if your business will be a contender in your shopper’s journey, which is why it is our number one trend. Upwards of 90% of purchases start with an online search, from researching product options, evaluating manufacturers, and ultimately finding local stores to visit. SEO will be a harder challenge in 2018 than it has ever been. Due to continuously changing strategies, the best advice for 2018 and beyond is to follow blogs like Search Engine Journal to get daily updates on strategies. What we do know is that Google’ s Mobile First Index is coming in early 2018. That means your site will have to be optimized to meet Google’s new mobile device ranking criteria. Since more than half of the consumer searches happen on a mobile device, it is critical to be ready for this algorithm update. Also influential is the rise of voice search. Potential customers are speaking into their phones and shopping through their connected home devices. This changes the search query because we speak differently than we type, more naturally using long tail phrases. Now that you have successfully driven traffic to your website, the User Experience must shine. The eCommerce conversation has shifted. In 2017, it felt like there was finally acceptance that home furnishings needed to prioritize their online strategy. Now the conversation is what technology and features do successful sites need to compete with the likes of Amazon and Wayfair? For 2018, your site’s top priority should be to drive traffic to your store. The good news is that many consumers will always want to experience a big ticket purchase such as furniture in person, which automatically gives retailers an edge on a pure play model. Your website must strongly showcase your product. Captivate your user through your visual imagery, let them find your products through proper indexing, and educate them on your product through your descriptions. Most importantly, create unique brand content. American Furniture Warehouse’s “Shop the Look” feature provides inspiration and easy access to captivating products. Have well-designed location pages that allow you to rank for the popular search term, “furniture stores near me.” Enable engaged customers to book design appointments online. Capture their information so you can begin marketing to them personally. And most importantly, ensure your customer’s research will be available to your staff through shareable shopping carts. We have been talking a lot about technology and lifestyle, but of course product is still king. Technology must serve your inventory. That is why the Unified Commerce model utilizing one database and shared shopping carts is the future. 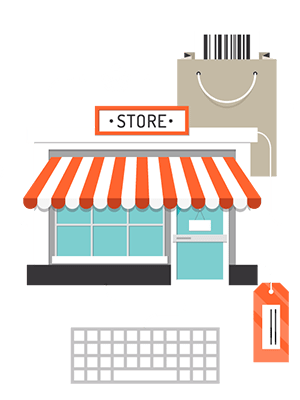 Since your customers are searching for products both online and in-store, inventory information, pricing, and availability must be maintained in a single database to ensure what customers are viewing is always accurate. On your site, inventory needs to be organized into logical product categories. A well-designed inventory page has imagery of the products, vignettes of a lifestyle shot, and the ability to zoom. Data points like vendor, materials, pricing, and dimensions help customers research. Products should be easy to filter by these criteria. To keep customers from bouncing off your site allow them to review comparable and add-on products right from the same page. Merchandise options for up-selling can be dynamically populated using data within your technology system. The evolution of the stores to their future state is an exciting opportunity for retail. The below statement presents a challenge to stores that retailers should ponder. It is vital to consumer trust that both web and showroom experiences are elevated together. A website with all the bells and whistles previously discussed, will be a disappointment to a customer if they are driven into a lackluster showroom experience. Although store closings were headline news throughout 2017, when you look at the retailers who closed their doors, they didn’t align with today’s customer. Furniture is an incredibly visual business and builds the atmosphere of one’s home. Stores are no longer a place to stock inventory, they are lifestyle showcases for a brand. Allow your showroom to indicate what that person’s home will transform into through their purchase. Further, technology enables retailers to carry less inventory on their showroom floors to reduce cost per square foot while still meeting demand. Customers are positively responding to tech as part of a retail store equation. 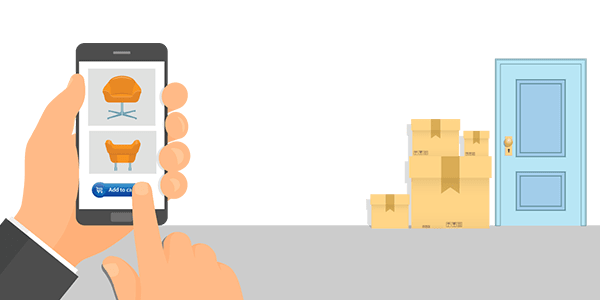 As outlined earlier, mobile devices, kiosks, and overall Point of Sale systems that integrate inventory and customer data help you to serve your customers better. Retailers are increasingly offering in-store WIFI to consumers to embrace how technology can help them close sales. In-store technology should be your associates’ best friend. In the showroom, having access to data to facilitate educated sales cycles builds personalized relationships. Customers will appreciate how technology can assist in their decision process. An associate can build a cart that an indecisive customer can review at home, or, can send a loyal customer complementary accessories after a big purchase. You can also streamline their lives with electronic payments, receipts, and financing processes. Your delivery fulfillment strategy has the potential to be a major competitive advantage. Customers utilize expected delivery dates when making purchasing decisions. Technology can instantly calculate an accurate date to be communicated at the POS and directly on a website’s product page. Delivery routing will further ensure your routes are populated to streamline your trucks. For in-home delivery, a major trend is allowing customers to adjust their delivery dates online to further satisfy their needs. Of course, only seeing options the retailer actually has available is key. Additionally, inventory accuracy across your supply chain helps you move available pieces to the consumer more efficiently. Barcoding and warehouse management streamline logistical operations. It may never be the norm for furniture to be eligible for free, one-day shipping, but when you align customer expectations properly, delivery can be a positive customer experience. Amazon is exceptional at using customer data to cater their online experience. With strong technology, retailers can access the same type of data Amazon uses for their customer experience. One major advantage is that traditional retailers can apply the knowledge gained from customer data to how their staff delivers customer service in person. And let’s face it, what is more personal than helping someone design their home? A customer relationship management system that tracks all customer interaction helps build a brand’s reputation. CRM is what allows you to build the personalization that is key to today’s shopping journey. Capturing points about style choices and buying habits takes CRM a step beyond only using demographic, profile, and past purchasing points. Use this information to market to the customers you worked hard to earn and re-engage them down a new purchase path. Getting customer experience feedback is everything to a business these days where the new word of mouth is the digital review. Reviews are on search engine results pages, social media, product pages, outside sources, and more. While commonly understood that reading reviews is valuable, getting people to be your brand evangelists is tough. Combining some or many of the aforementioned strategies can earn you the right to ask for a glowing review. Now take it full circle and use your technology and customer engagement data to motivate or incentivize them to write one. Send them emails triggered by a completed delivery in your system, offer discounts on items that complement what they just purchased, and make it very simple for them to actually write something shareable. “2018 will be the year of technology and more integration of it into mainstream retail.” Loeb Associates Inc. In 2018, the ability to adapt to consumer behavior and infuse technology into the modern purchasing journey will continue to separate the leaders from the laggards. 2018 is the year of Technology Momentum, as retailers continue to adapt to the changing future. We hope you found valuable insight and direction from industry influencers, technology, and the customer journey in our 2018 Furniture Retail Trend Guide. With the right strategies in place, the future of retail is bright! STORIS is committed to the technological advancement of the home furnishings industry. Our proven ERP solution is the foundation of our offering. In 2017, we released our Unified Commerce Solution, an all-new eSTORIS eCommerce Platform, Finance Queue, and In-Store Kiosk. In 2018, we will release our new Business Intelligence Suite, CRM solution, and further enhancements to our full Unified Commerce offering. That is why industry leaders trust their technology to STORIS.